It turned out to be a pretty lucky day for the brunchers this time. The skies parted and the sun even came out for the hours we hit the road and broke bread together. Thanks to everyone who came for a fantastic time! The ride was 7 miles through Griffith Park and climbing up Trash Truck Hill (also known as Garbage Truck Hill, but really, what’s the difference?) and back down to our starting location at the corner of Los Feliz Blvd and Crystal Springs Dr. If you liked the route, you can find the Strava details for it here and the full Google Maps view of the route here. Post up on the Facebook page if you’re ever interested in riding it with a partner! After the ride, we headed for Village Bakery & Cafe in Atwater Village. Their pastry display case made me feel like I should do the Hill one more time before indulging! Bummer we didn’t make it to the Autry Museum Farmer’s Market but it’s a delicious outdoor option for a future brunch. 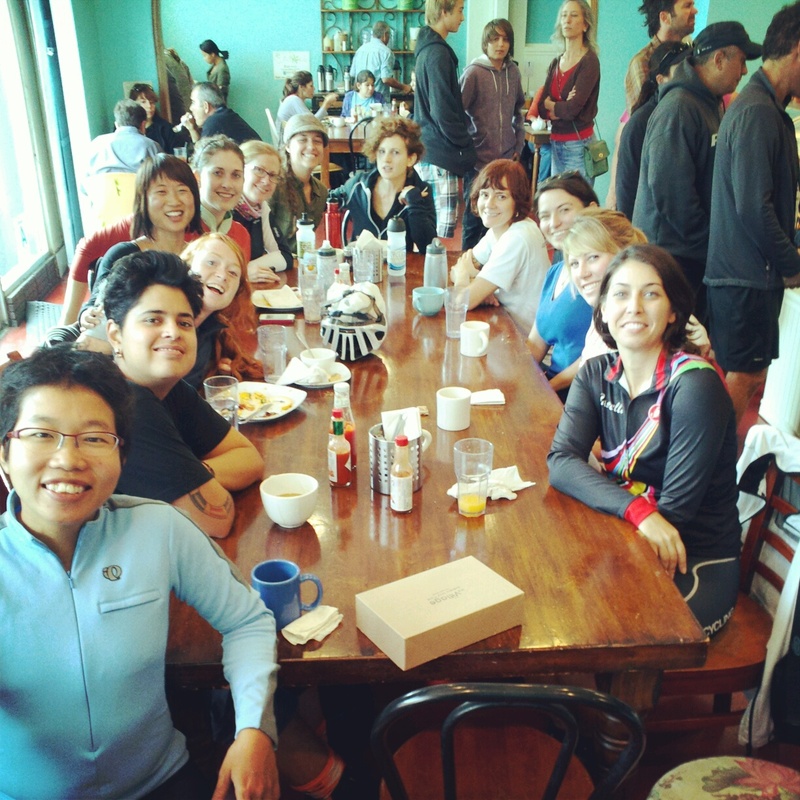 This entry was posted in Bike Brunch on November 20, 2012 by womenskit.